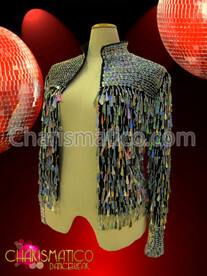 Put on this jacket before you show those Disco moves to the world. 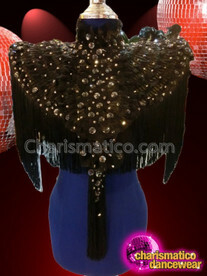 A customized jacket that will fit perfectly and has hand-crafted sequins on the body to add further glory to the dress. 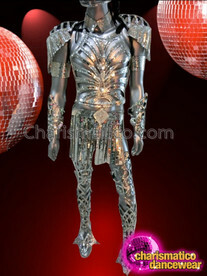 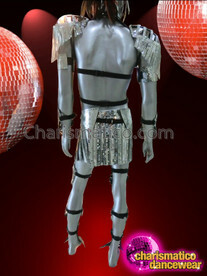 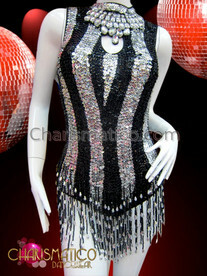 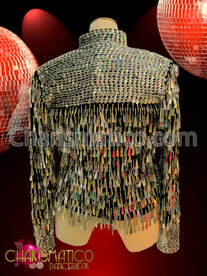 The silver-sequined patterns along with protruding spikes on the arm is a must have to add the x-factor to a costume. 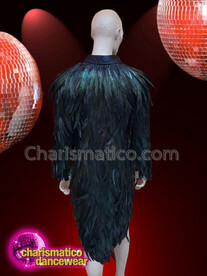 Fill in your desire measurement in the box.